Home International Is Left-Wing Populism Still Relevant? Left-wing populism has been on the rise in recent years especially in Europe and the United States. However, after the experiences of SYRIZA, Podemos and Sanders, one might ask: is left-wing populism still relevant today or is it an already out-dated phase of the radical left? The answer to this question lies within the left’s ability to learn from such experiences and incorporate in its politics novel elements that along with a radical economic programme can contribute towards pursuing a project of social and economic change beyond the neoliberal orthodoxy. SYRIZA. Podemos. Sanders. Corbyn. These are the most prominent cases of left-wing populism that have been shaping the political debate in their respective countries, since the beginning of the financial crisis in 2008. 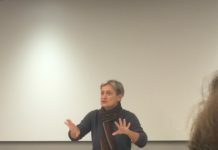 At the same time these cases have prompted discussions among scholars about the nature and practicality of left-wing populism as well as its potential into creating broad political alliances as the recent work of Chantal Mouffe has shown. However, the story of the populist left has a longer history in both Europe and the Americas extending to the 19th century and the People’s Party in the USA. In fact, the latter was often described as a progressive democratic party, a view that shaped the initial perception of populism as a democratic phenomenon, before the term was linked with the right and re-signified in a pejorative manner. 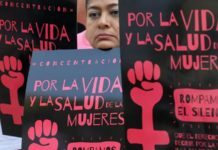 From the People’s Party onwards we see that left-wing populism has been at the centre of Latin American politics, especially after the Second World War. From leaders like Getulio Vargas to the more recent examples of Evo Morales and Hugo Chavez, the tradition of left-wing populism in South America has a long and complex history. In these cases left-wing populism has contributed to making the political systems of each country more inclusive to groups that were previously excluded or marginalized (minorities, indigenous people etc.). And regardless of its economic successes or failures it has been a crucial force in creating a more democratic political environment. This has become the signature effect of left-wing populism in the 21st century through the so-called ‘pink tide’. Although, the appearance of left-wing populist parties and leaders is far more evident in South America, Europe has its own smaller scale experience of similar parties before the crisis of 2008. The Socialist Party in the Netherlands and Die Linke in Germany have been some of the most prominent cases of left-wing populism in Europe in the last couple of decades. 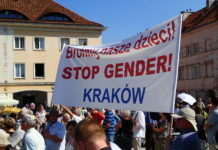 Despite the fact that they have never participated in government and haven’t had a significant breakthrough comparable to the populist radical right, they have managed to promote the development of participatory mechanisms and democratic institutions combining a left-wing populist discourse and a socialist programme. PASOK in Greece during the 1970s and 1980s is another example of democratic populist politics that has been under-researched. PASOK started as a socialist party in 1974, after the 7-year dictatorship in Greece, coming in power in 1981 under the charismatic leadership of Andreas Papandreou and staying in office until 1989. The party managed to transform the political landscape in Greece by including in the democratic institutions those who were excluded from the political decision-making due to the 50 year old supremacy of the right in the political life of the country. Papandreou achieved the inclusion of these groups (mostly of left-wing political affiliations) through a populist discourse and a combination of policies that promoted gender equality, the restructuring of constitutional and public law as well as an emphasis on the development of local administration. Not surprisingly, the 1980s have been described as a ‘Populist Decade’ with PASOK’s hegemonic populism redefining public debate, and consolidating democratic processes in Greece after 1974. Despite its successes though, PASOK’s populism has also been characterized as the cause for the emergence of a massive cliental state, corruption and even for illiberalism, while it is often portrayed by media and politicians as the main cause for Greece’s current economic crisis. However, PASOK’s possibly biggest achievement was that it managed to create a left-wing populist tradition that would later be reactivated by SYRIZA. SYRIZA (originally a party of the communist left family that evolved into a radical left party during the last decade) articulated its discourse by claiming that it represented ‘the people’ who are opposed against ‘the elite’ and created its electoral and political strategy based on that antagonism. In this process, SYRIZA managed to represent social groups that were heavily affected by the implementation of austerity measures (unemployed youth, civil servants, farmers) by signifying ‘the people’ as the point of identification for all of these groups. This became possible by articulating the various social demands in a chain of equivalence and making ‘the people’ the subject on which these very diverse groups could identify themselves with, thus creating a collective identity that signifies most of the people as the totality of ‘the people’. This led to the rise of SYRIZA as a major challenger political force in 2012, and ultimately to the party’s ascension in power in 2015. The Independent Greeks (ANEL), a right-wing populist party that was created from a spilt in the mainstream centre-right had their breakthrough at the same elections but did not manage to create the same momentum that SYRIZA had created. SYRIZA’s successes between 2012 and 2015 inspired similar initiatives in other European countries like Podemos in Spain. The established Spanish political forces had also championed austerity as the only way to overcome the economic crisis, thus distancing themselves from the social groups that they formerly represented. Podemos, a party that has its origins in the Indignados movement, formed in 2014 and attempted to approach the affected groups through a left-wing populist discourse, managing to create a collective identity around the notion of ‘the people’ (‘ la gente’, ‘pueblo’) and represent the unfulfilled demands of these groups. The party not only managed to achieve its goal, but also to create new electoral alliances and become the third largest party in Spain. The success of left-wing populism in Southern Europe seems to have triggered the adaptation of a similar discourse by political actors in the USA and the United Kingdom, who attempted to challenge the neoliberal hegemony. Bernie Sanders sought the Democratic Party’s nomination for the President of the United States and in doing so he represented a form of progressive populism deeply rooted in American history. His discourse managed to articulate demands from various social groups characterized by acute social and economic inequalities while encompassing demands of the ‘Occupy Wall Street Movement’ pitting the ‘99%’ of the people against the ‘billionaires’ class’. At the same time, Jeremy Corbyn in the United Kingdom succeeded into becoming the leader of the Labour Party in 2015 and since then he challenges the Conservative government both on their policies and on matters related to ‘Brexit’. His discourse and his famous re-adaptation of the slogan ‘For the many, not the few’ have become the trademark of his left-wing populism which seeks to represent demands that are of similar nature to those that we find in the United States, fighting economic inequality, opposing privatizations, and combating racism, while promoting feminism, tolerance etc. 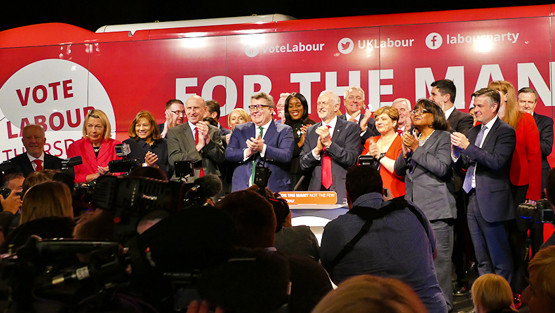 Corbyn’s populism and Momentum movement led to a significant rise in Labour’s memberships creating the conditions for the party to achieve its best electoral results since 1997, in the latest national elections. Has left-wing populism lost its momentum? The left-wing populist actors mentioned above built significant momentum and for a while appeared able to challenge the neoliberal hegemony providing alternative political and economic paths to austerity by working towards a more equal and democratic society. However, their initial dynamism seems to have faded, which prompts a key question: how was that possible especially in a socio-economic environment that is ridden with profound inequality? The answers for left-wing populism’s stalemate lie within each case’s different experience and the challenges that they failed to overcome. The case of SYRIZA has been the most interesting one since among all the contemporary manifestations of left-wing populism it is the only one that made it into government. 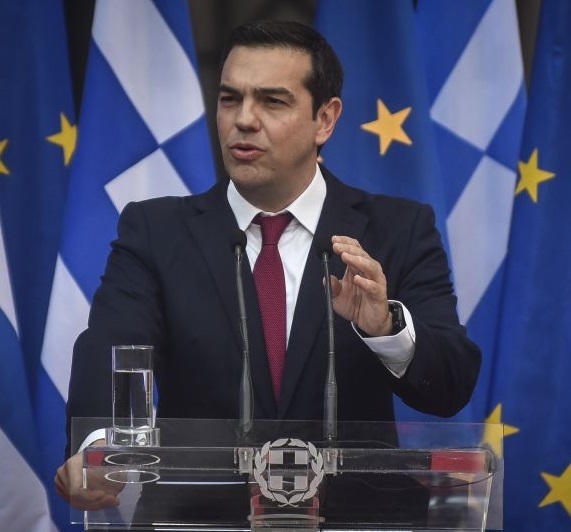 In January 2015, SYRIZA formed a coalition government with ANEL and faced the challenge of fulfilling its electoral promises within Greece’s difficult political and economic reality. Despite managing to bring together different social groups and their demands, Alexis Tsipras met severe obstacles in applying an anti-austerity economic program and along with the ambiguous handling of the Referendum results in 2015, he gradually lost the support of many of the social groups that catapulted the party to power. 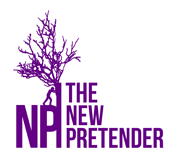 Not only that, but the acceptance of new austerity measures transformed the radical left populist party into a social-democratic one that seems to have compromised with neoliberalism and the TINA doctrine. In Spain, although Podemos has not been in government yet, it has seen a lot of problems within its structure and leadership, while it has been challenged on national issues too. The intra-party strife between Errejon and Iglesias, the dominant role of the latter within the party, and the growing vertical organization that Podemos is taking have caused many issues and have compromised the left-wing populist strategy that the party has employed so far. Added to that is also the fact that the party found itself in a difficult situation on the Catalan referendum, facing the challenge of supporting or not the Catalan Independence. 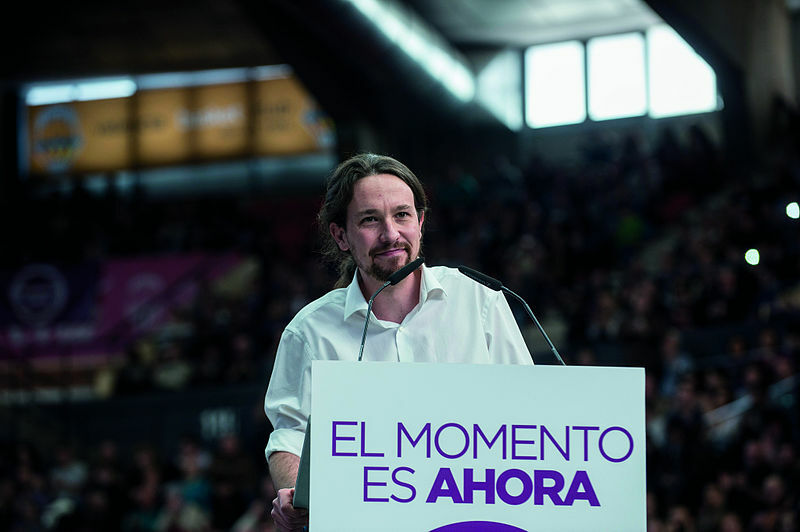 Podemos nowadays seems to be overshadowed by the liberal-centrist party Ciudadanos which gained electoral ground in the latest national elections and supported Mariano Rajoy’s government until recently. Pablo Iglesias speaking in the International Forum for Emancipation and Equality. The picture in the Anglo-Saxon countries is not better. Bernie Sanders lost the presidential nomination to Hilary Clinton and his subsequent endorsement of his opponent disappointed a lot of his supporters, although he still has connections with grassroots movements and groups that had supported him but also newer ones, like the student movement for gun control. Jeremy Corbyn’s momentum has also slowed down, due to constant intra-party strife over the direction that the party should follow, over its position on Brexit and the recent allegations on tolerating anti-Semitism. 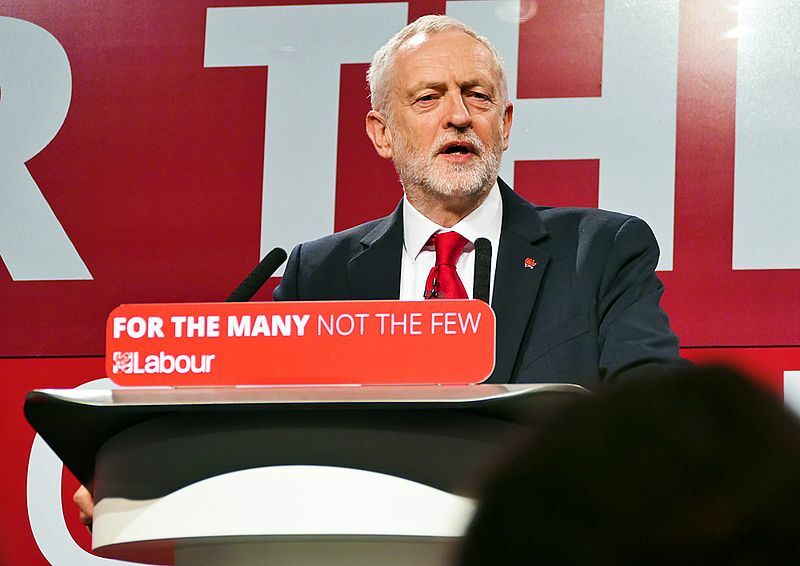 Along with Corbyn’s neo-Keynesian economic proposals, the future of a left-wing populist project that will be able to represent economic, political and social grievances and demands seems to be facing some serious challenges. What can the experience of left-wing populism teach us? It is safe to say, that left-wing populism’s momentum has been declining with most of the political actors in the broader ‘family’ facing difficulties consolidating their electoral appeal. This leaves the future for the prospects of left-wing populism rather uncertain, leading to a key question: if left-wing populism in Europe has run its course, what are the lessons that advocates of a progressive and egalitarian politics can draw from that experience? A left-wing populist discourse that can articulate different socio-economic and democratic demands against neoliberal elites is not something that should be rejected as inefficient. On the contrary it should be embraced by the radical and broader left. The latter has a lot to learn from recent experiences and should take into account how this kind of discourse can mobilize groups that feel neglected or unrepresented and include them into a democratic context. Demands such as those for economic equality, popular participation and more democracy have been in the left’s programme since its conception. What a left-wing populist strategy can do today is give proper form to those demands and at the same time create the common ground on which different groups can be connected and represented by such discourse. However, what cases of left-wing populism like the above highlight is that the left has to take bold steps into exploring an alternative economic programme, compatible with the populist discourse. In order to provide a true alternative to a neoliberal economy the left has to explore the possibilities that new forms of economy can offer. The economy of the commons and that of solidarity as well as ideas and concepts from social economy not only can provide useful alternative economic models, but they are ideologically compatible with the principles of the left on equality, democracy and justice. To do that and provide a sufficient economic programme along with a left-wing populist strategy, the left has to re-evaluate the economic role of the state in its programme, thus moving beyond mere neo-Keynesianism and the reclaiming of what has been already taken away from public control. In other words, the left should learn from the experience of left-wing populism and incorporate all the beneficial elements that it featured, but its viability will only be possible if it is accompanied by a radical economic programme that will be applicable. Left-wing populism seems to be a less viable political alternative today than only a few years ago, but despite its failures it should not be rejected as a promising strategy for the left. If political actors from the left manage to incorporate left-wing populism in their own discourse and programme along with a clear and sustainable economic plan they can revitalize the left’s social alliances and offer solutions to the long ideological stalemate that the progressive camp has been facing in the last years.